In their history, the Montreal Canadiens have only drafted in the ninth slot once—just as they will at this year’s upcoming NHL Entry Draft. That was in 1975, when the event was still known as the NHL Amateur Draft. And the good news? The Habs can only improve upon what turned out to be a horrible selection: Defenseman Robin Sadler, who failed to suit up for a single NHL game. Another product of the Amateur-Draft (and Chicago Black Hawks) era, forward Réal Cloutier actually made his mark with the Quebec Nordiques, but mainly when they were a part of the World Hockey Association. That’s in part why his point totals are so low, with just 344 scored, but in only 317 games. He also retired at only 28, after being demoted to the American Hockey League in 1984-85. Interestingly, even though he spurned the NHL to join Quebec as a teenager, Chicago still drafted him a few years later, keeping his rights. And, when Quebec joined the NHL, he remained there, with Chicago acquiring the Nordiques’ first-round pick in the 1980 draft in exchange for not claiming him. That pick turned out to be Denis Savard. He will forever hold his place in Habs lore as the player Montreal likely should have taken instead of Doug Wickensheiser at No. 1 overall that year. Due to recency bias, Logan Couture just might be the name that sticks out the most on this list to Habs fans seeking immediate help in the team’s lineup, when the team’s front-office brass steps up to the podium in Buffalo on June 24. He probably serves as the cut-off point, at which we can separate established stars from potential ones of the future who were more recently taken ninth overall (Nikolaj Ehlers, Dougie Hamilton and Jacob Trouba), but about whom no one can be entirely certain. Only 27, Couture has been a legitimate top-line option down the middle for the San Jose Sharks this entire past half-decade. Also of interest to Habs fans: He also serves as a constant reminder of just how bad the Maple Leafs can screw up at the draft (and may yet still with the first-overall lottery pick they won). They technically could have had Couture, but settled for Vesa Toskala and Mark Bell instead. Is it also too soon to bring up Hamilton and Tyler Seguin and their ties to Phil Kessel, who’s no longer a Leaf? Habs fans could do much worse than a player of Rod Brind’Amour’s caliber. The powers that be unfortunately might have broke the mould when they made him. Nicknamed Rod the Bod for obvious reasons, Brind’Amour was just as well-known for his work ethic on the ice and leadership, helping to guide the Carolina Hurricanes to their 2006 Stanley Cup. He was however always underrated when it came to his offense, despite his prolific nature getting on the scoresheet. Brind’Amour was always good for at least 50 points, getting 82 as recently as 2006-07… as a 36-year-old. It must have been the bod. 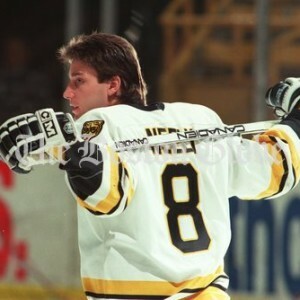 Another Hall of Famer, Cam Neely takes the No. 2 spot. In all honesty, Neely could make a great case for the top slot, with a career goals-per-game average of .544, just below the still-active Steven Stamkos and Habs legend Maurice Richard (Mike Bossy is first with 0.762). 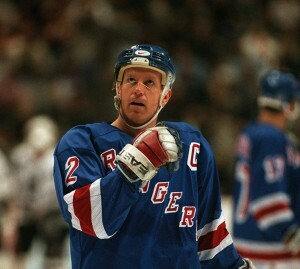 Of course, Neely only lasted 726 games, forced to leave the game after the 1995-96 season due to various health issues. 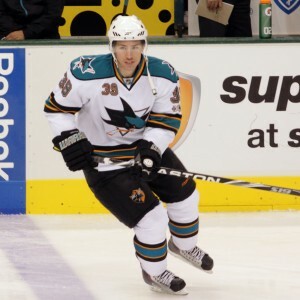 People remember the debilitating knee injury he suffered at the hands of Ulf Samuelsson, but he also had a degenerative hip condition that ultimately spelled the end of his career. The third Hall of Famer on this list, defenseman Brian Leetch, helps to give Habs fans hope that there will still be an elite player available at No. 9 this year. That’s even if, as general manager Marc Bergevin says, any player the Habs draft will likely take a few years to make it to the big leagues and is unlikely to help right away. Both Brind’Amour and Neely made the jumps to the NHL just about right away, making appearances the season or postseason following their draft years. Drafted in 1986, Leetch debuted in 1987-88, but his freshman season was officially the 1988-89 campaign and he was more than worth the wait, setting an NHL record for goals by a rookie defenseman with 23 en route to winning the Calder Trophy. That ended up being a career-high (which he tied later on), but the best was yet to come, including a 22-goal, 102-point season in 1991-92, not to mention a lengthy career that lasted 18 years (19 with the 2004-05 lockout). His career also included less memorable stops with the Boston Bruins and Toronto Maple Leafs, who notably traded a few futures to get their hands on him for the 2004 postseason, including a first-round pick that in theory could have been used on goaltending help in the form of the currently elite Cory Schneider. I’m telling you, the Leafs can still screw this up. Have hope.